The freight industry is constantly evolving. After 30 years of experience in ocean and air freight, we know more than ever to expect the unexpected. Dealing with worldwide policies, market fluctuations, new technologies and the ever changing landscape of container shipping there is never one year the same. 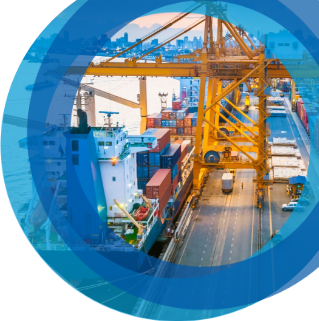 So you can stay up to date with the latest trends, we have listed below the main changes and forecasts in the cargo industry that you should be aware of. So read on and keep informed. The International Air Transport Association (IATA) figures indicate that air cargo demand grew by 3.5% in 2018, but this was already considerably slower than 2017’s extraordinary growth of 9.7%. The slowdown commenced in mid-2018, fueled by sagging consumer confidence, and geopolitical headwinds, such as protectionism, trade friction, BREXIT, and anti-globalization rhetoric. Despite IATA’s gloomy forecast for 2019, two trends supporting air cargo in Asia-Pacific are growing populations and the rise of strong manufacturing hubs in countries such as Thailand and Vietnam. The global air cargo market size is anticipated to reach USD 135.9 billion by 2025. This is attributed to the increasing penetration of digital technology in the retail industry resulting in a paradigm shift in consumer buying patterns and their expectations. This, in turn, has led to the substantial growth of the market. As of October 2018, oil and jet fuel prices had more than doubled from their low points in early 2016. Oil prices are expected to pull back moderately in 2019. Recently, IATA estimated that rising fuel prices would cost the global airline industry $50.6 billion in 2018. Airlines seek to recover these increased fuel costs through fuel surcharges (mostly on international routes) and by raising their fares and fees. If oil prices moderate, as it is expected, the airlines’ revenues should mostly catch up in 2019. Southeast Asian airports are among the fastest growing in the world, with the production of various goods shifting into the region, due to rising costs of manufacturing in China, and concerns related to volatile trade relations between the United States and China. The Association of Southeast Asian Nations’ (ASEAN) economic ministers also signed an agreement to support the facilitation of cross-border e-commerce between ASEAN members in November 2018. Meanwhile, airports in the surrounding region – including Singapore, Hong Kong and Taiwan – are helping national carriers expand air rights with ASEAN countries, encouraging operators to increase flights south, providing special incentive programs to attract more flights. China is changing from the world’s factory for goods towards a consumption country. The shift that started years ago from China to offer a value-added production, rather than labor-intensive commodity production, will further accelerate in 2019. Industries such as textiles, apparels, footwear, and furniture, are likely to be the first industries that will leave China. The country will continue to dominate production on a global scale, but this is not sustainable forever. Vietnam may be the biggest winner of this switch, along with other countries, such as Indonesia and Thailand, as they have better infrastructure, such as deep sea ports which can now accept larger vessels. Many Chinese companies are already positioning themselves in countries like Vietnam, and Indonesia is setting up factories in order not to miss out on this production shift. The International Maritime Organization (IMO) has mandated under new Emission Control Area regulations that by 2020, all merchant vessels must reduce their sulfur emissions from 3.5% to 0.5%. Whether they install scrubbers, build new vessels, or use higher-quality fuel, carriers will need to make significant changes to comply with the new regulations, and those changes will come at a cost to shippers. Rates may climb between now and 2020 as a result. It is expected that continued growth in the developing economies, mainly in Asia, will stimulate increased commodities trading in 2019. However, a slowdown in imports of Chinese goods due to tariffs imposed by the U.S. or lower commodity imports and consumption by China (by far the largest iron-ore and coal importer) would harm the shipping industry which have heavily invested in new vessels for the last few years in the belief that China would make a consistently solid contribution to trade flows. It is hard for shipping companies to adjust their supply to reduced demand given the 20+ year economic longevity of vessels and the sensitivity of shipping rates to a supply and demand imbalance. Accordingly, shipping is probably the most exposed transportation sector to a sharp downturn in the global economy. Today, the 10 largest shipping operators control 60-70% of the global sea freight market. Although any major deals in this year cannot be foreseen, 2019 is likely to bring further mergers between carries as well as bankruptcies, as smaller players continue to be pressed out of the market. Tied to this, is the continued development of alliances that are likely to have a significant impact on the industry. Logistics managers will likely see more vessel-sharing agreements and carriers seeking to differentiate their brands with “premium” service offerings. As a result of past consolidations, fewer carriers are now in business; they are finally focusing on profitability instead of volume. Carriers intend to keep supply tight against demand, resulting in higher rates than in 2018. China and USA trade war made by rising tariffs and retaliatory tariffs is far from over. Besides front-loading their shipping to avoid tariffs, importers are accelerating supply chain diversification by moving toward Southeast Asia. Air freight rates may climb between now and 2020 as a result of new emission control regulations. The surge in demand for air freight that took off in mid-2016, normalized in early 2018. 2018 ended with a growth rate in the 4% range, down from 10% in 2017. The cargo industry has made strides in the last year towards increasing its automated and digitalized processes and is expected to continue doing so in the coming year. Should you want to discuss how these changes and trends could impact your business, please get in contact on 1300 CARGO1 for a free consultation. Flightglobal, Aircargoworld, Spratings, PRnewswire, Morethanshipping, LogisticsManagement.